The idea of having a garden sounds great to many people -- stick some plants in the ground, and at the end of the summer you'll be rewarded with a bounty of tomatoes, peppers, cucumbers, etc. But having a successful garden means much more work than that. It also means constant care to keep plants happy and healthy. One of the most important aspects of gardening is making sure your plants are watered adequately. Water is essential for many functions within the plant and is needed frequently, especially in hot, dry weather. These 8 great tips will help to make watering the garden and potted plants seem like less of a chore. 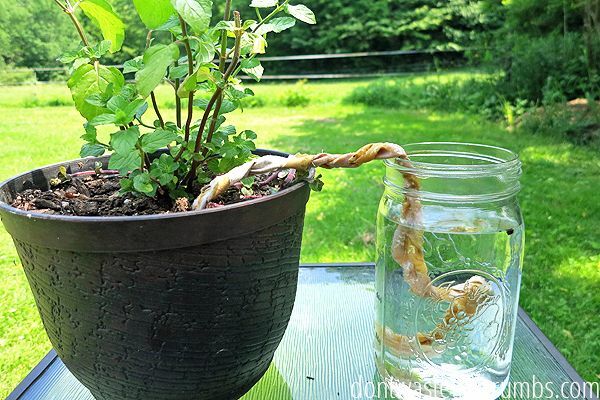 Create a self-watering system from a clean, plastic water bottle. With the lid on the bottle, use a hammer and nail to drive a few holes through the top of the lid. Remove the cap, fill the bottle with water, screw the lid back on tight and invert the bottle quickly, driving it into the soil at a slight angle toward the roots of the plants. The water will slowly seep out of the holes in the lid watering the root system. 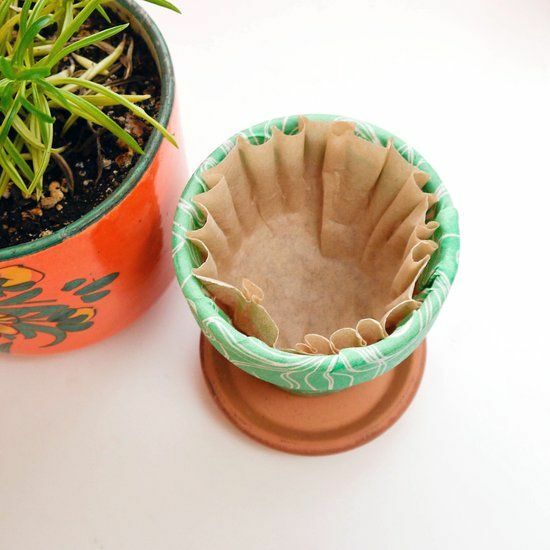 It's no secret that lining planting containers with coffee filters will help keep potting soil from spilling out the drainage holes in the bottom. By doing so, most people are also helping to retain water in their pots as well. Coffee filters are incredibly absorbent and will soak up extra water as it drains out the bottom of the pot. This helps to keep soil moist between watering. 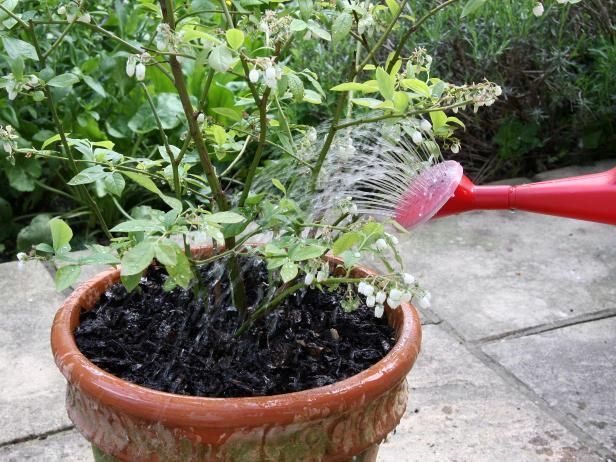 One of the most simple ways to keep watering plants from becoming a chore is to simply collect the excess water. 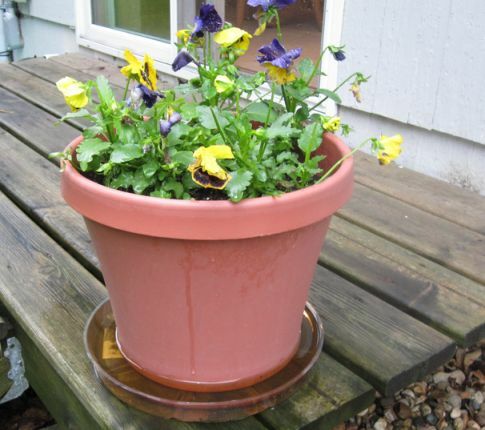 Most planting containers have drainage holes in the bottom to keep roots from becoming waterlogged. Collect this excess water by putting saucers under the bottoms of the pots. the plants will reabsorb the water from the saucer when the soil gets dry, lending a helping hand if you forget to give them a much needed drink. Moisture is easily lost from the soil surface through evaporation. Covering the soil with a thick layer of mulch will help to decrease evaporation from the soil, plus the mulch itself will help by retaining extra moisture. You can use commercial bark chips, pine needles, grass clippings, or even straw as suitable mulch. Newspapers make a great alternative to mulch, and can help keep the extra paper waste from making its way to already crowded landfills. 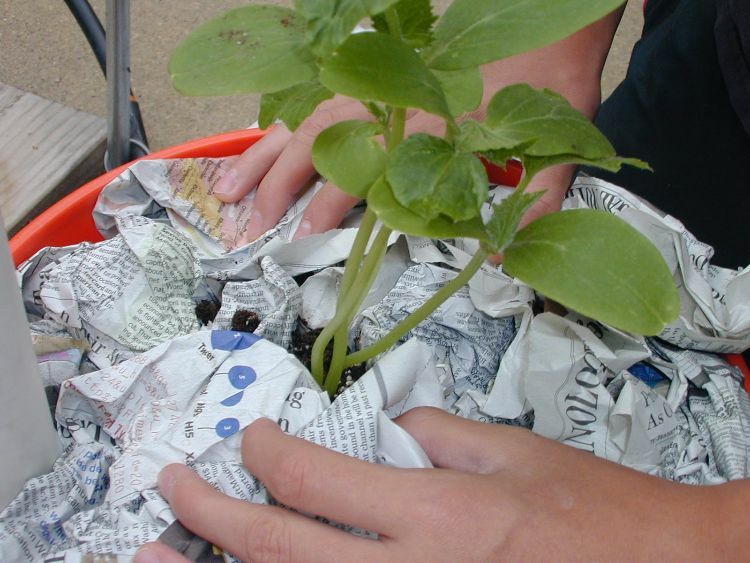 Crumple up old newspapers and cover the topsoil with a solid layer of material. The newspapers will absorb and retain water, helping to keep the soil moist. Cardboard egg cartons can increase the water holding capacity of soil when added to it. 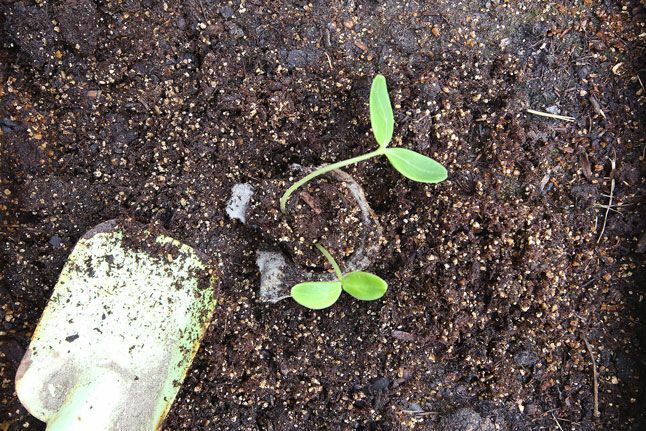 Either plant your seedlings in egg carton starter cups using these instructions from Den Garden, or tear up the empty containers, mixing the pieces into the topsoil. The material will absorb and hold onto moisture, delivering it to the plant roots as needed. Poke holes in the bottom and sides of a plastic water or soda bottle using a nail or thick sewing needle. 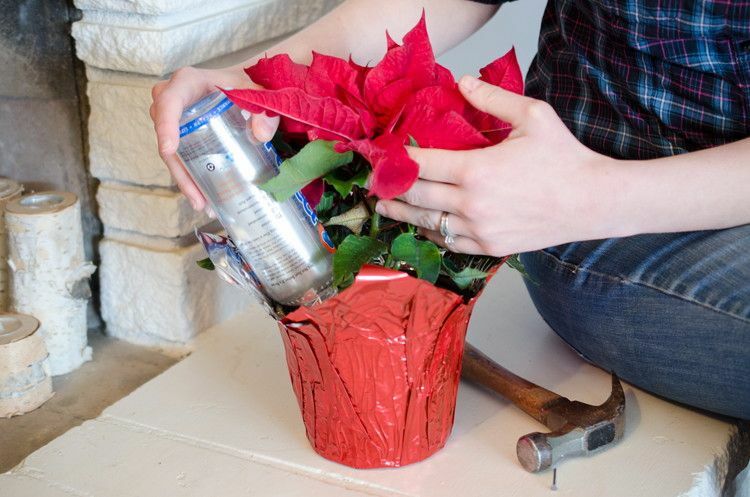 Bury the bottle in a hole slightly larger than the container, next to the plant you want to water. 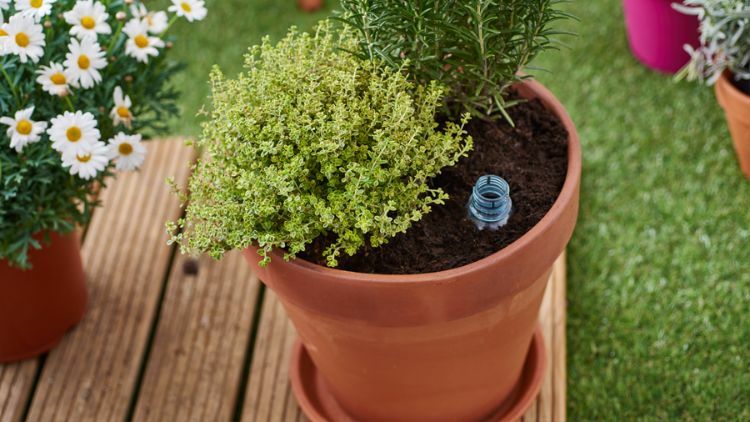 Make sure the neck of the bottle is above the ground and fill the soil back in around the container. Remove the lid and fill with water, capping tightly to keep soil and debris out. If you're going to be gone a couple of days, and want to keep your potted plants watered, then make a quick self watering system using some cotton fabric and a vessel to hold water. Braid three strips of cotton fabric together, placing one end in a vessel of water and the other end in the pot. The water will wick through the cotton to the soil. Having a garden or potted plants, means they need to be watered regularly to kept alive. And for even the most vigilant person this can sometimes forgotten or simply overlooked. 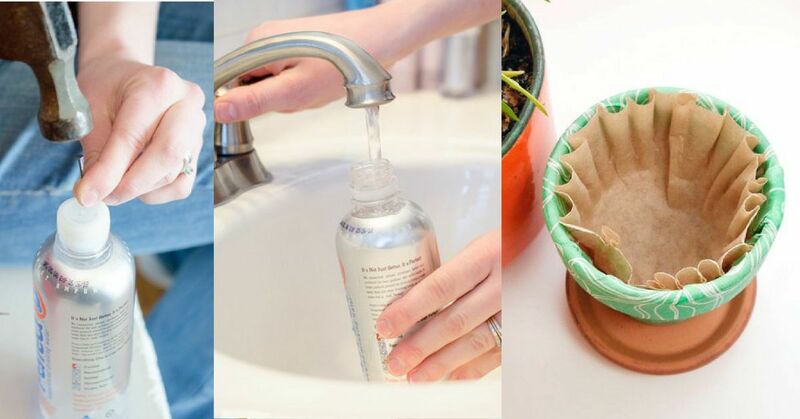 These 8 hacks will help make watering less of a chore, and give you a little leeway if you become a little forgetful once in a while. Share these great tips on Facebook!